With the spirit distilled in a copper still named after the makers' grandmother, and the finished product named after their pet spaniel, the production of Jake's Gin is a family affair. 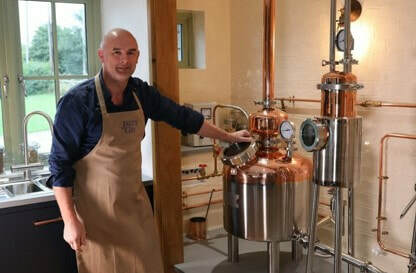 After working on the recipe for a year, the May family launched Jake's Gin in January 2019. For more gins featuring a combinations of citrus and rosemary, try Gin Mare and Peter in Florence Gin.